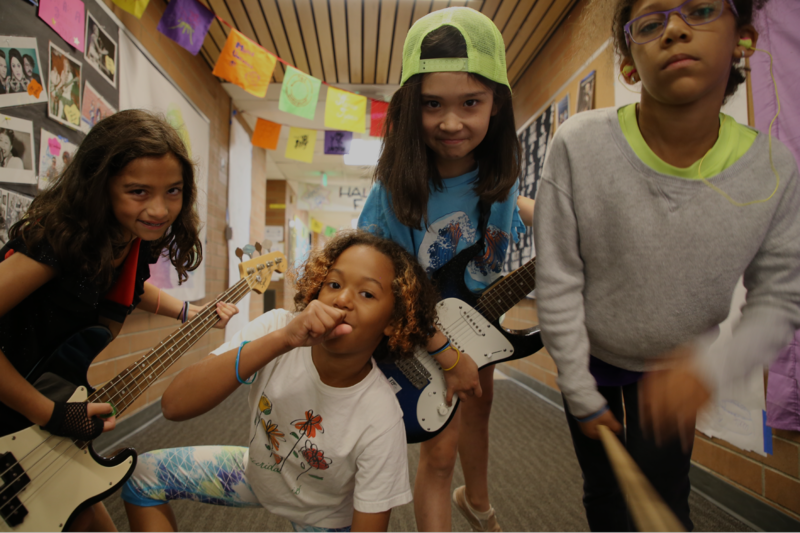 2019 Summer Camp Applications Are Live! 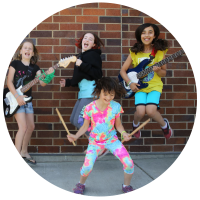 Visit our Summer Camp, South Sound Rocks! and AMP @ MoPOP pages for Program Dates! 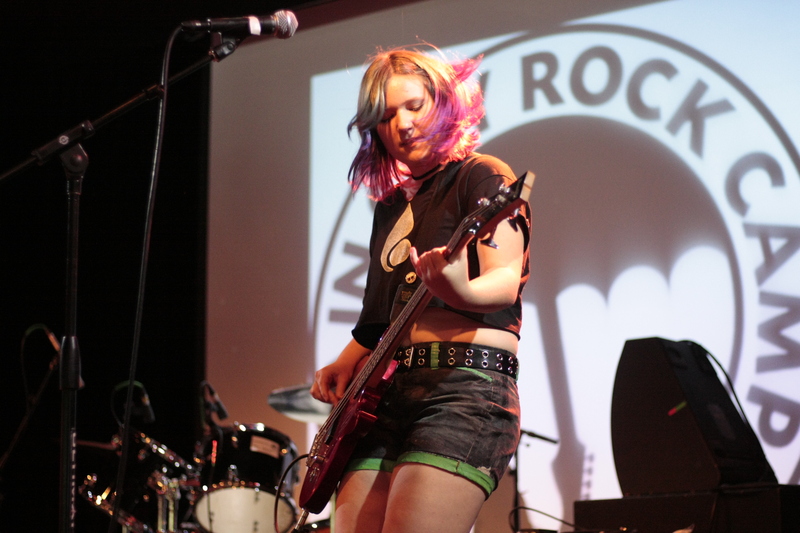 South Sound Rocks & AMP open April 15! For the first time, we'll be offering keyboard instruction as part of all our camps in 2019! 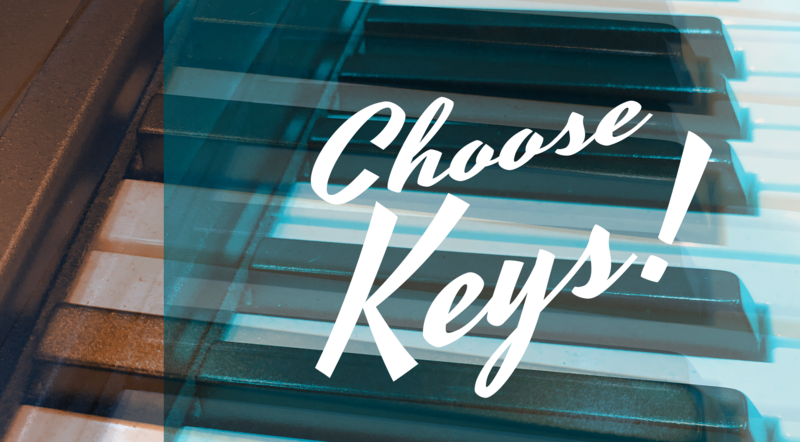 More about our NEW keyboard program! 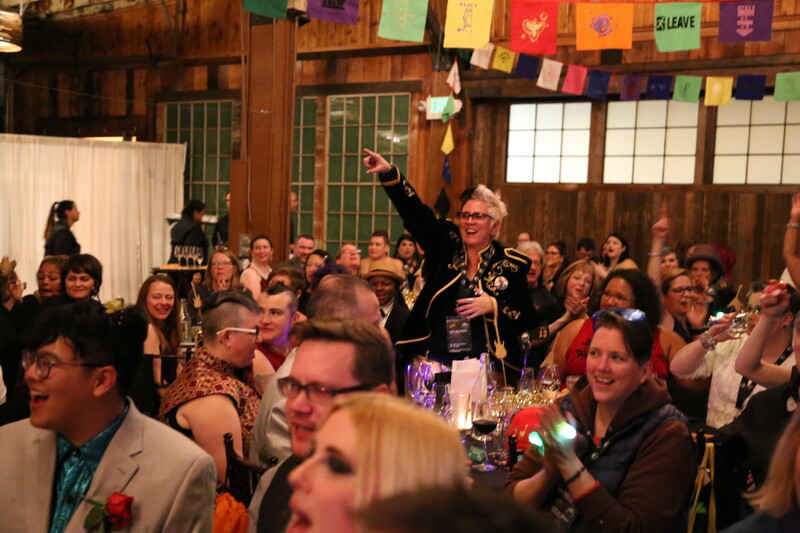 Our amazing community came together and raised a record-breaking $117,000 for our programs! 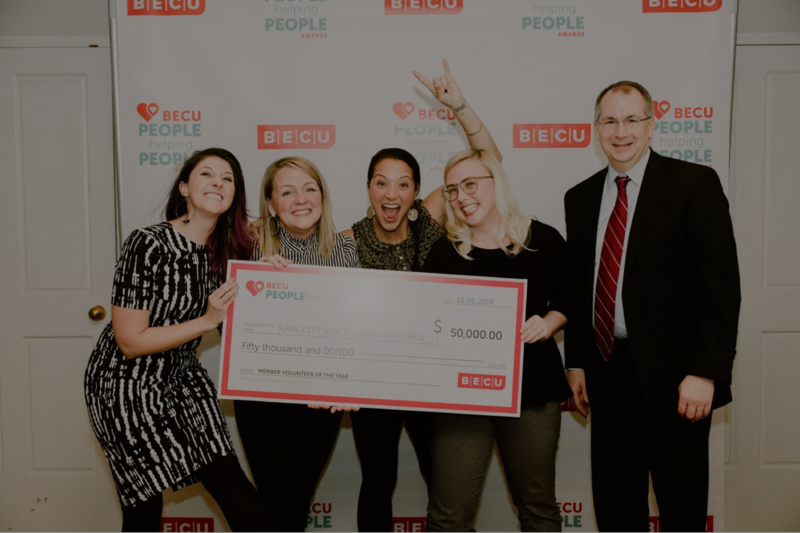 We are so honored to be recognized by BECU's People Helping People Awards! Our own Kira Shea was recognized as Member Volunteer of the Year, and RCRC received $50,000 for our programs! More from BECU about the award! Cleaning out? 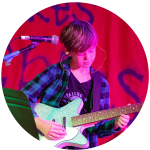 Did you know you can donate guitars, basses, drums, and vocal and recording equipment to Rain City Rock Camp? 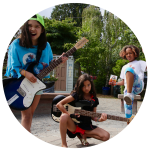 Empowering girls, women, and gender non-conforming individuals to engage their creative potential through music, champion equity, and thrive in a community of allies and activists. 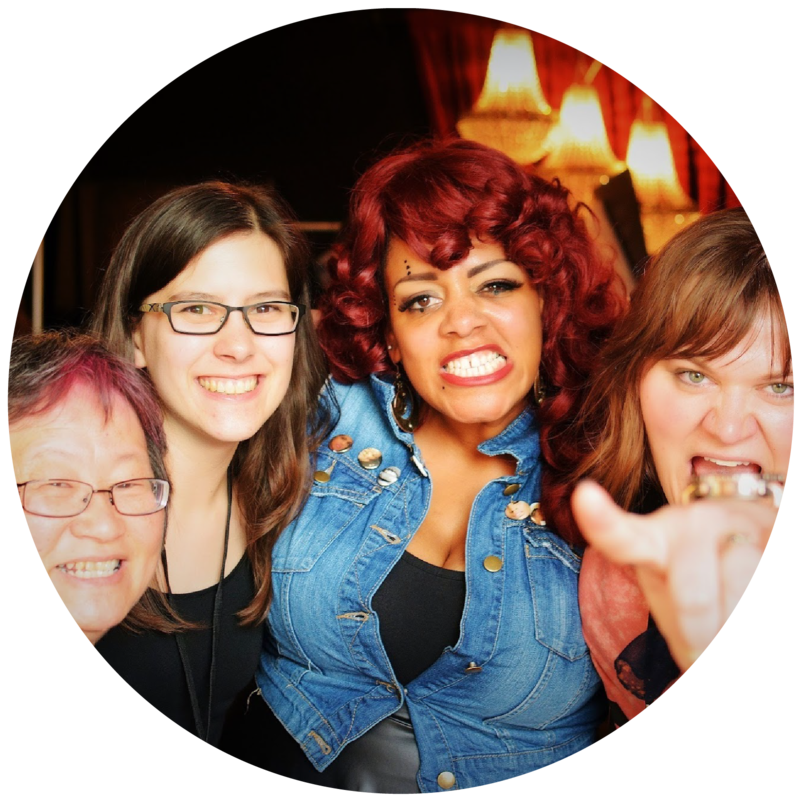 Now in our 11th year as an organization, Rain City Rock Camp is part of the international Girls Rock Camp Alliance.